Today, I have a beautiful new collection from Jennalyn at LynBDesigns. The "They're Better in Books" Collection is a mini collection with 2 cremes and 2 jellies. No glitters this time around. 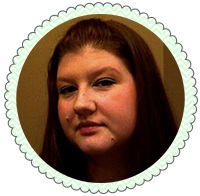 I couldn't wait to try them out, and now you'll be able to see why! Same as above just bottle shots. Such pure colors! I was in love with her holiday glitters, so, when I saw these were glitter free I was slightly disappointed. Only because I loved her glitters so much, but at the same time I was so excited to try something new from her. And let me tell you... SHE DID NOT DISAPPOINT!! This is three coats of Pinkmalion. Pinkmalion went on like a dream with no issues whatsoever. Extremely easy to work with! Some streaking on the first two coats, but you need three coats for full opacity and that third coat smooths everything out. I didn't even have to do any clean up. No staining or pulling. It's everything you could ever want from a perfect creme. Pinkmalion is my favorite of the four, but only because I'm extremely partial to pinks. Goes on like satin. What little clean up I had to do was easy, and zero staining issues. There is still some VNL but barely. It is a jelly though, so full opacity isn't quite expected. 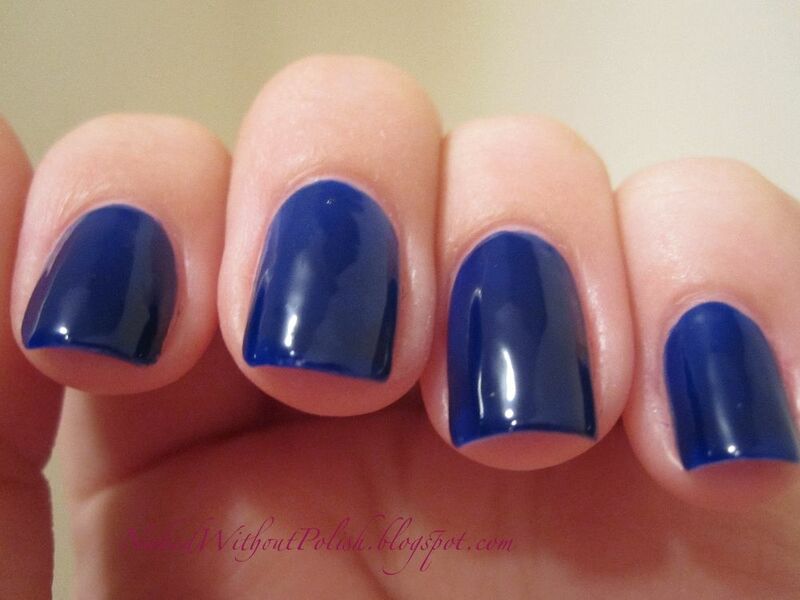 If you are a lover of jellies, this formula is as perfect as you can get for one. Sometimes my camera doesn't quite catch the exact color of the polish, that isn't the case here. This is a bright beauty! 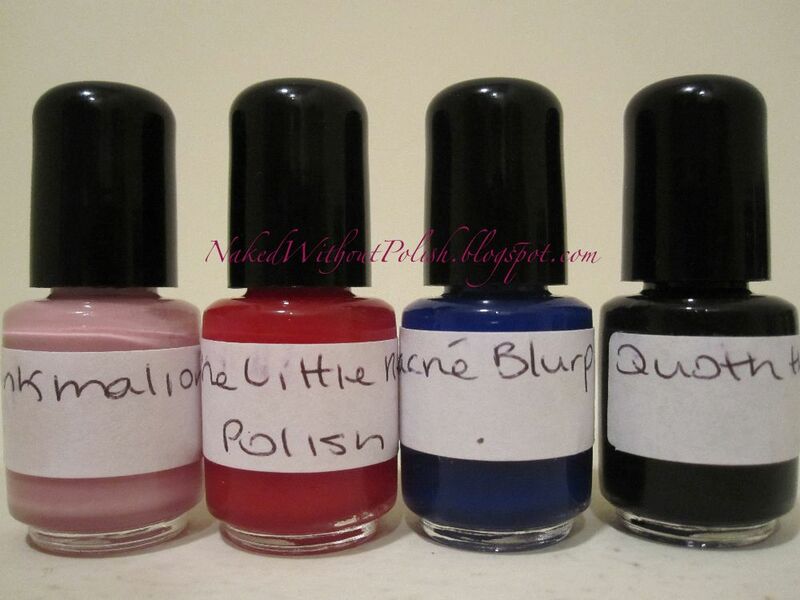 If you are a lover of red polishes don't pass this one up! I can't wait to try a jelly sandwich with it! Sacre Blurple is a lovely deep, dark blue-ish purple jelly. My camera really only caught the blue tones. I tried to find the purple, but my camera refused. It was only purple in certain lights. The blue comes out so much more. Because it is a jelly, you feel like you can see some depth to it, really gives it the feel of a deep blue sapphire gemstone. This is three coats of Sacre Blurple. 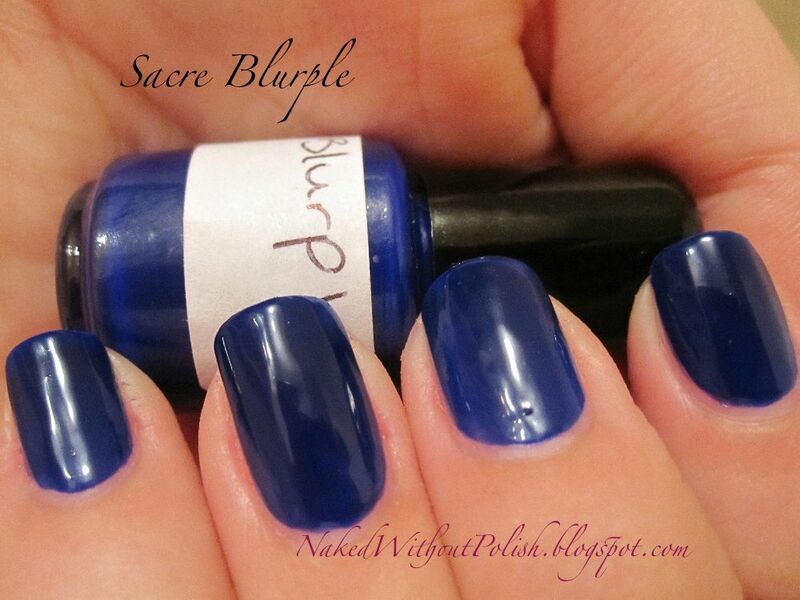 Sacre Blurple didn't go on as smoothly as The Little Red Polish, but the formula wasn't awful. It was just a little thicker. You can see where it pulled a little on my middle finger, down towards the cuticle, but it wasn't much. Clean up was easy and no staining with this one either. Even with three coats there is a little VNL, but as I said before, it's not expected for a jelly to be completely opaque. Such a lovely blue. I've been on a blue kick lately and I can't wait to use this some more. 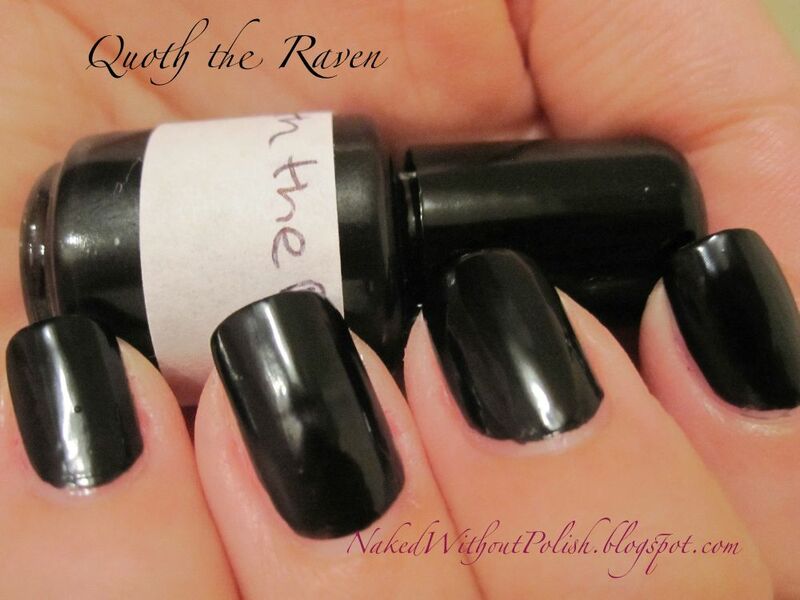 Quoth the Raven is a very dark glossy black creme. It's beautiful! I didn't put a top coat on this one because I wanted you to see how shiny it was on it's own. This is two coats of Quoth the Raven. I did two coats of Quoth the Raven just to be safe. I'm one who prefers to do a very thin barely there coat for my first coat and then layer from there. If you did a thick enough first coat, it could easily be a one coat black. I had no problems with application, clean up or staining. It would be a perfect polish to show off glitter top coats. Look at that shine! Once again, Jennalyn knocked it out of the park with the "They're Better in Books" Collection. As much as I loved the formulas in her glitter top coats, I'm even more blown away by her cremes and jellies. The two year anniversary of LynBDesign's ETSY shop is coming up on the 24th, and you can really tell she's perfected her formulas. 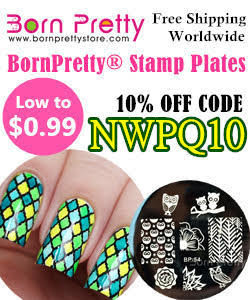 They are smooth and just glide on your nail. I love that her glitters weren't hard to take off the nail and this collection didn't stain. I can't wait to reuse the colors and play around with some jelly sandwiches. 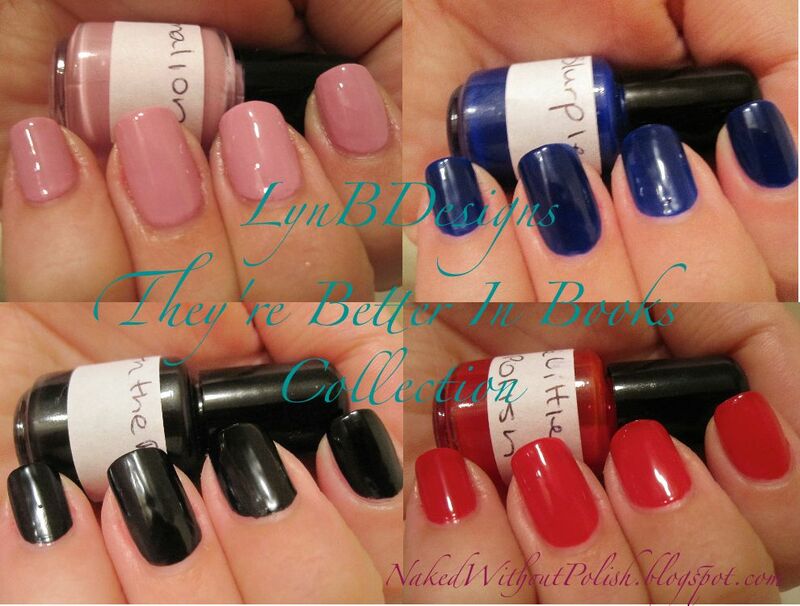 You can buy the polishes from the "They're Better in Books" Collection for $7 a bottle on LynBDesign's ETSY shop. Some of her other polishes are $8, but they are all worth it! And since her second anniversary is coming up, use the code HAPPYTWOYEAR to get 40% off your entire purchase until the end of January 2013!! You don't want to pass up on these beauties OR that deal! 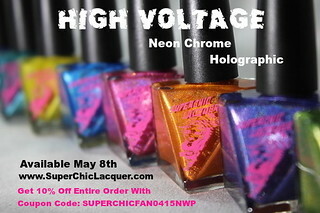 Keep up with news, swatches and sales on her Facebook page.